Birth is one of the most mysterious happenings in this journey we call life. No one can yet explain how life begins and the mysteries of what happens with the baby when in the womb. It is one of those Divine mysteries that makes life both joyous and heartbreaking. There are even more questions that are unanswered with twins or multiple births and the bond they share before and after birth. There is a secret language between a baby and the mother as well as between multiple babies. 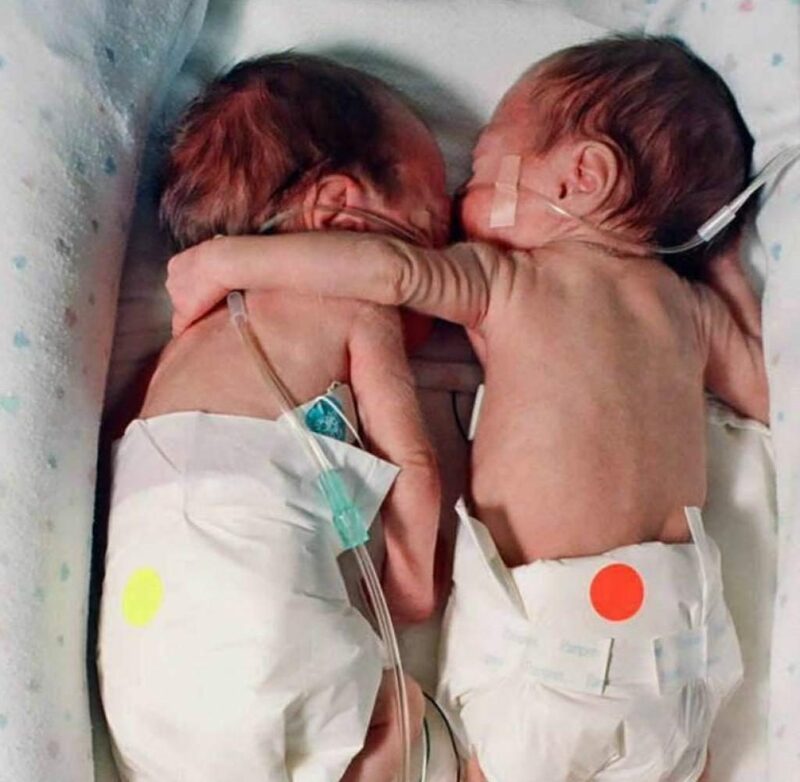 One such miracle language happened between a set of twins that profoundly shows us how we are connected by a mysterious loving lifeforce and how newborns are still intensely connected to it. In 1995, Paul Jackson and his wife were elated to hear they were expecting twin girls. The typical pregnancy term is 40 weeks but this expectant mother went into labor prematurely at just 28 weeks. After rushing to the hospital, the Jacksons learned there was nothing the doctors could do to slow down the birth process. Once their twin daughters, Kyrie and Brielle were born, the joyous occasion quickly transformed into a life or death emergency. Their one twin Kyrie was doing just fine but sadly, the same could not be said of her twin, Brielle. The doctors closely monitored both babies for three weeks. Then, during the third week, Brielle’s heart rate suddenly increased, her breathing became labored, and her oxygen levels dropped significantly. In that moment, Brielle’s complexion became blue, a telltale sign that she wasn’t receiving enough oxygen. Even just a small lack of oxygen can cause brain damage and cause other vital organs to stop functioning. A team of doctors were trying everything they could to get the tiny newborn Brielle to breathe but nothing seemed to be working. As emergency workers scrambled to figure out their next plan, an NICU nurse came up with an unusual idea. 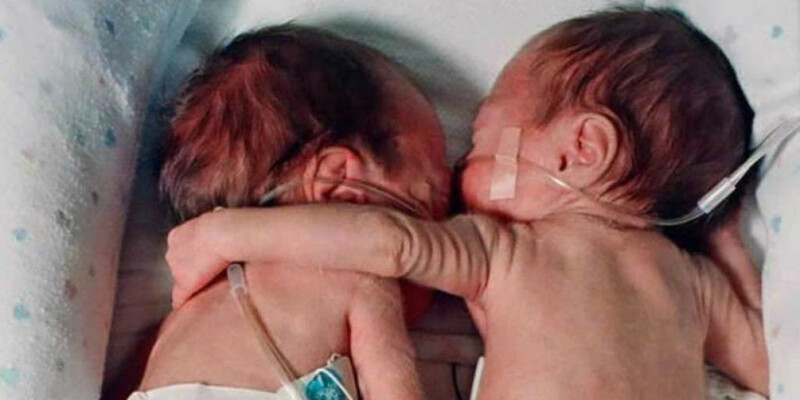 During all the commotion, the nurse knew that, as twins, the girls’ connection was deeper than most children’s. She decided to place them in an incubator together to see how Brielle would respond. She did not know if it would have any effect but she wanted to at least give Kyrie a chance to say goodbye to her dying twin sister. It turned out to be a Divinely inspired decision. Not a second after she has place the struggling twin in the incubator with her twin sister, Kyrie placed her arm around Brielle as if to protect her. At three weeks old, there was no way she was aware of the power of a hug from a loved one; it was clear she was reacting with pure instinct. No one in the room, including the emergency doctors, could believe what they were seeing. As Kyrie kept her arm around her twin sister, the nurses continued to monitor their vitals. Brielle suddenly began to breathe in a normal pattern without any outside assistance. Kyrie’s touch had seemingly brought her twin sister back to normal. From that point on, Kyrie’s heart rate and temperature were stable. While the spur-of-the-moment idea wasn’t well-known in the United States at that point, it was actually a fairly common technique around the world dubbed kangaroo care. Kangaroo care is the act of placing your newborn on your chest as skin to skin is considered by doctors to be essential for newborns. Now in their early twenties, both Brielle and Kyrie are thriving and continue to be extremely close. They’re proof that the power of family love and a simple hug can often be enough to overcome any possible obstacle standing in your way!